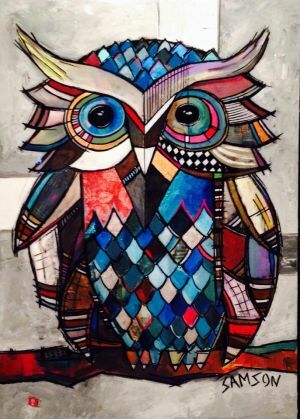 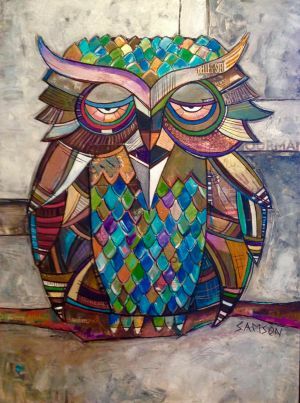 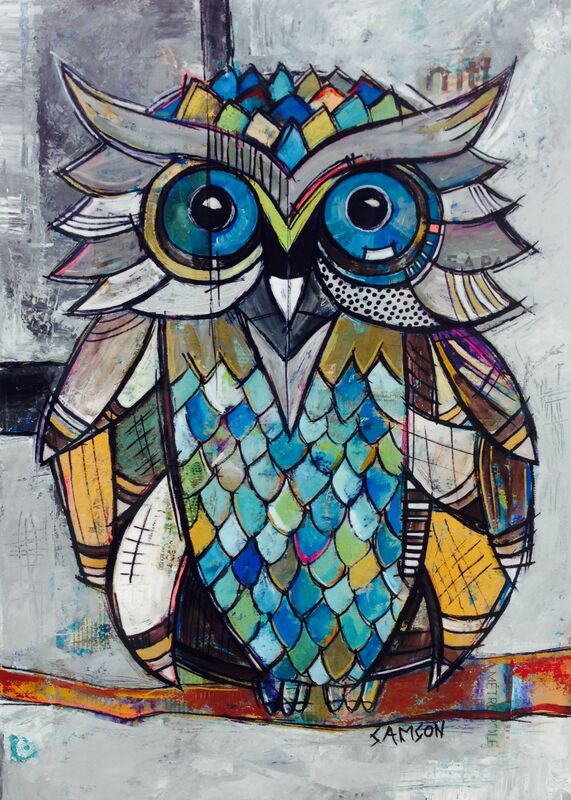 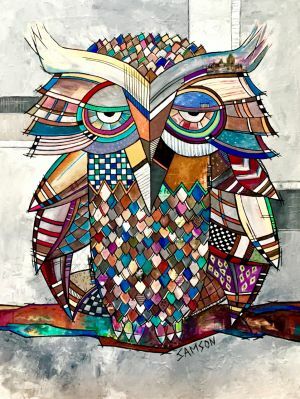 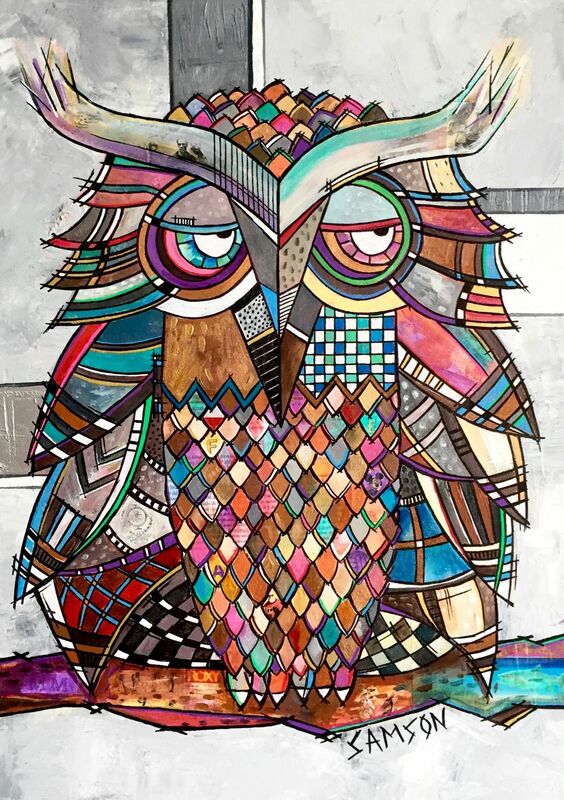 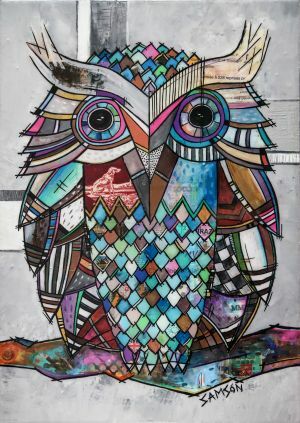 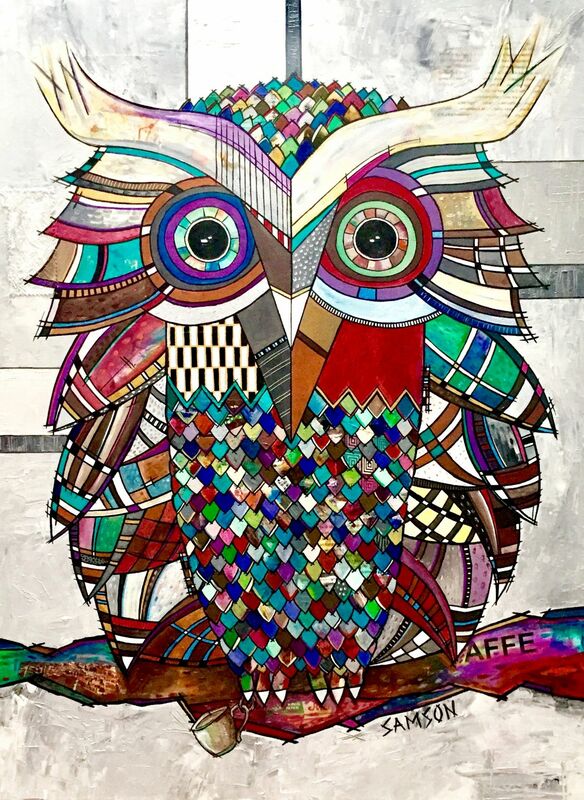 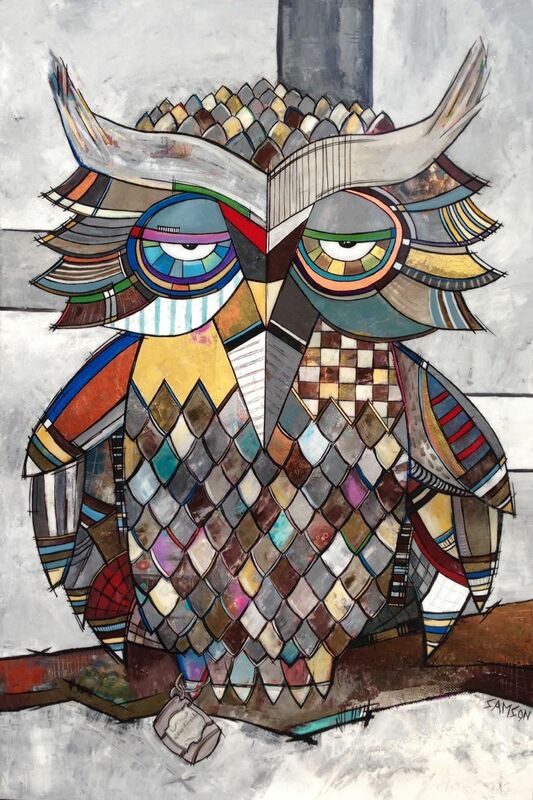 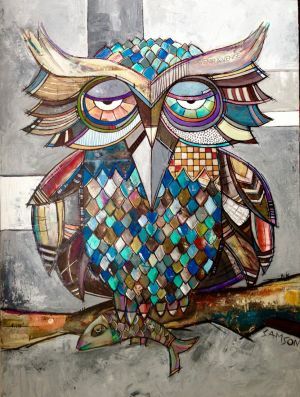 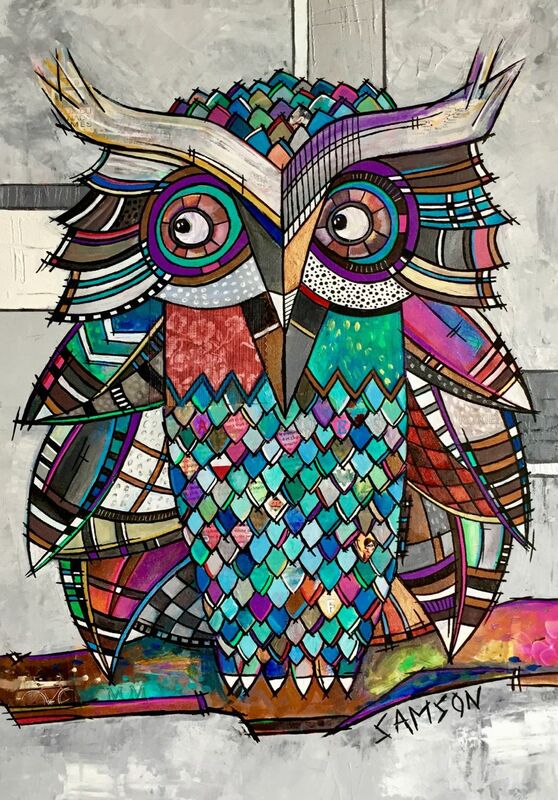 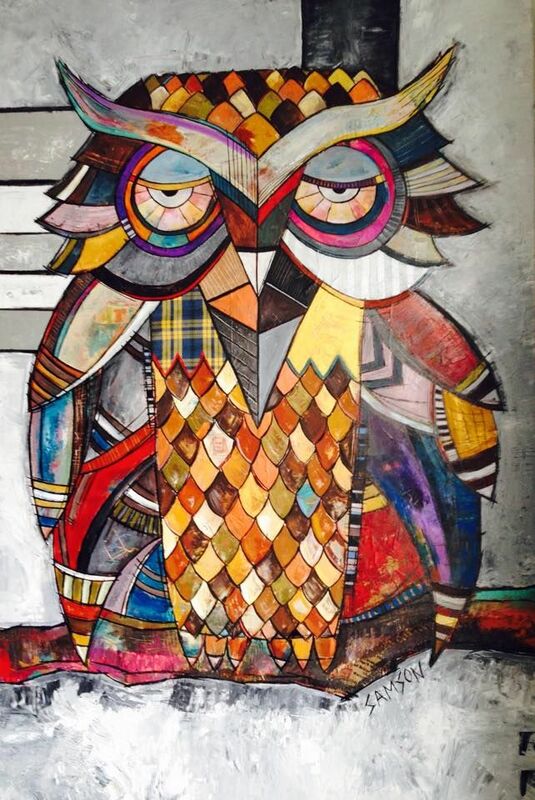 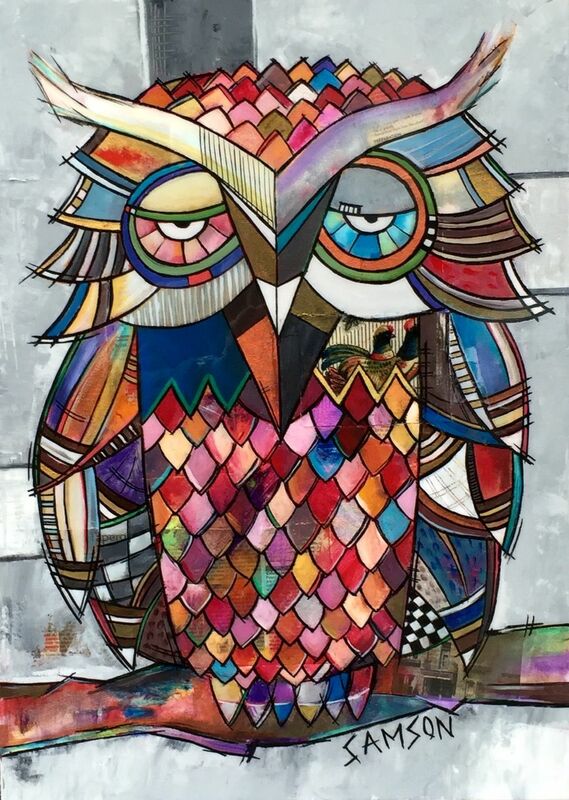 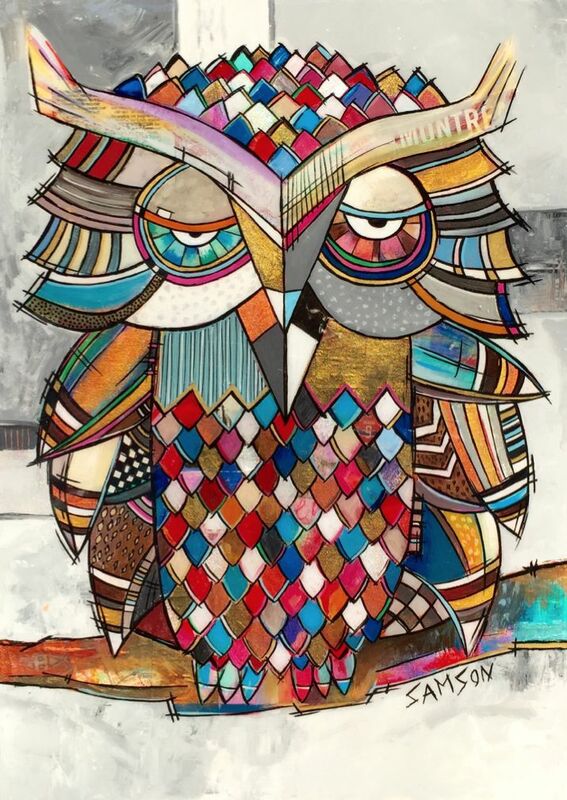 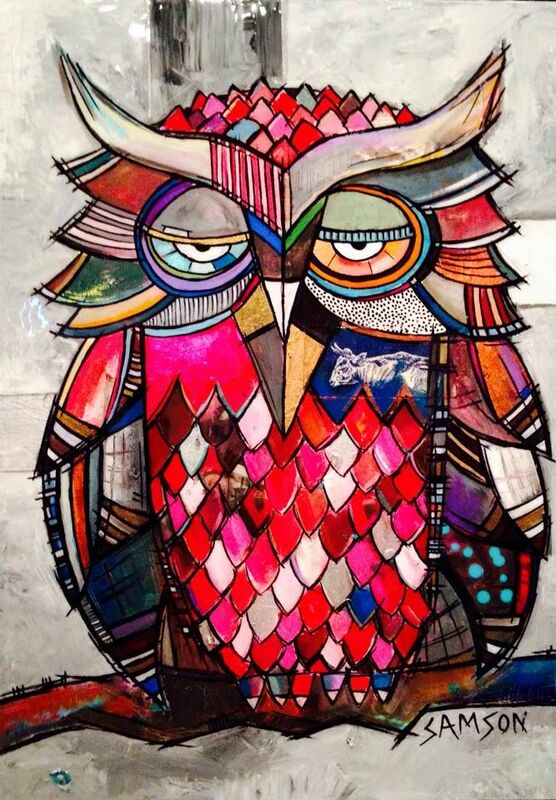 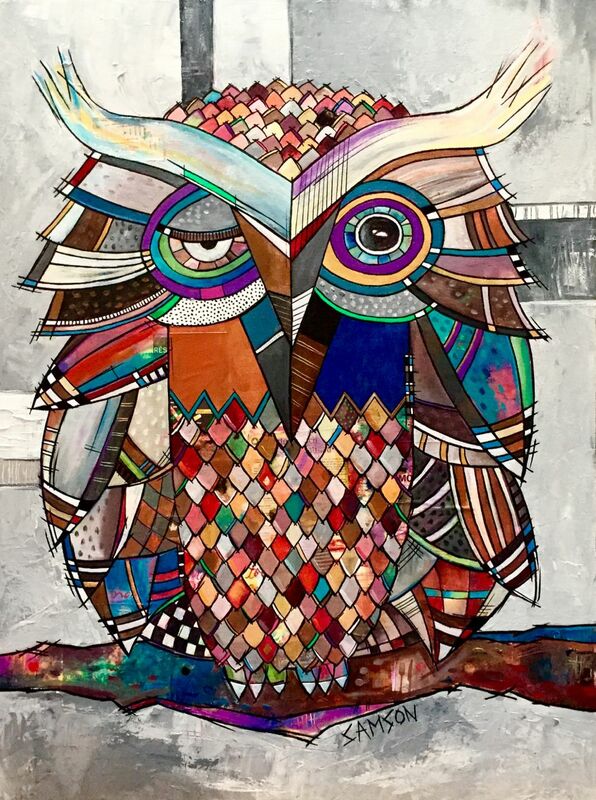 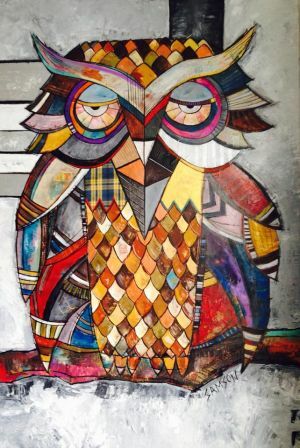 Owl Art: Paintings & Artwork on canvas by Marc Samson. 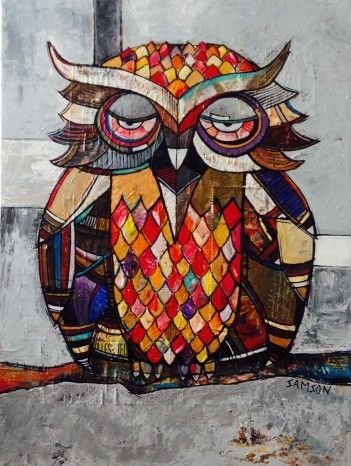 Marc Samson’s paintings really stand out with originality with his modern and industrial style. 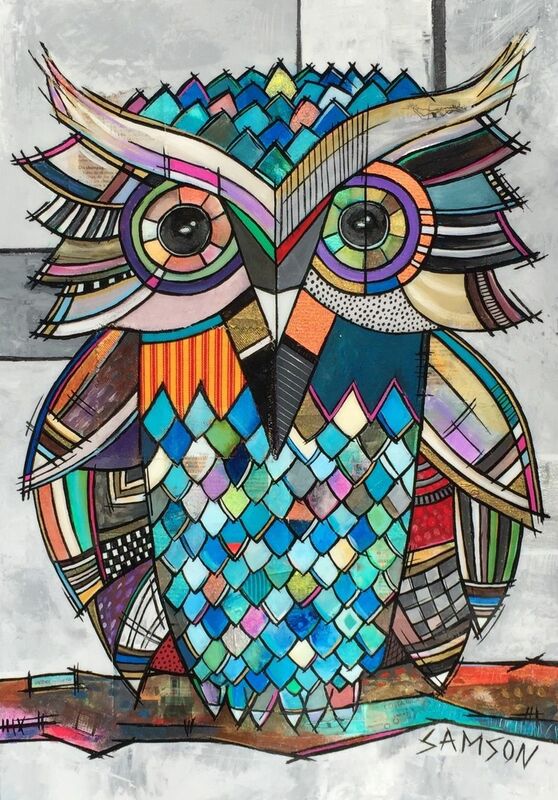 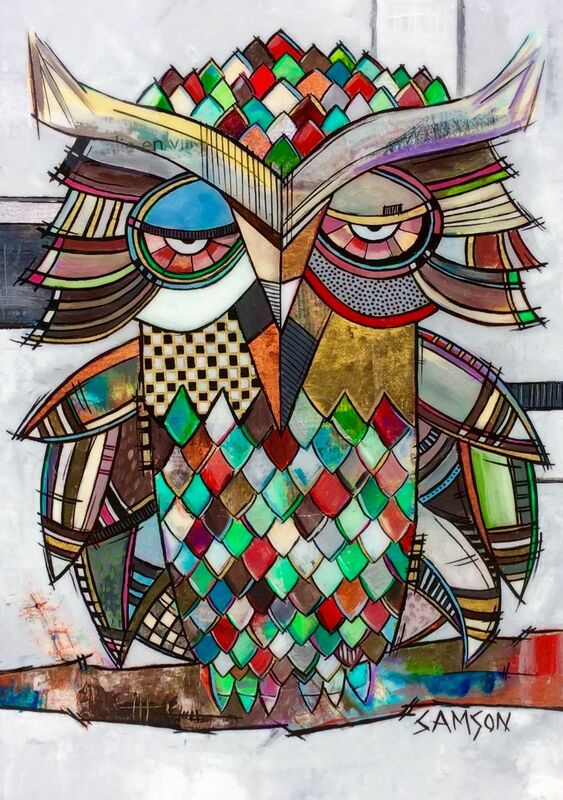 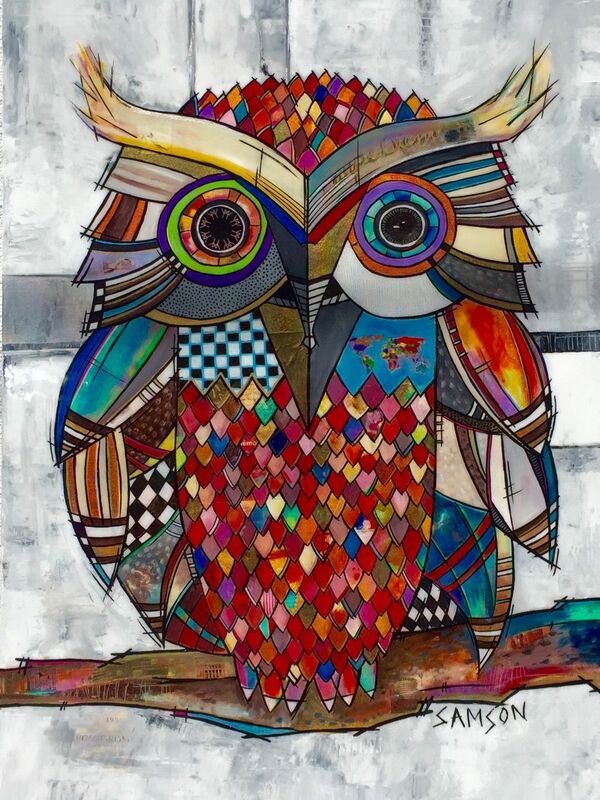 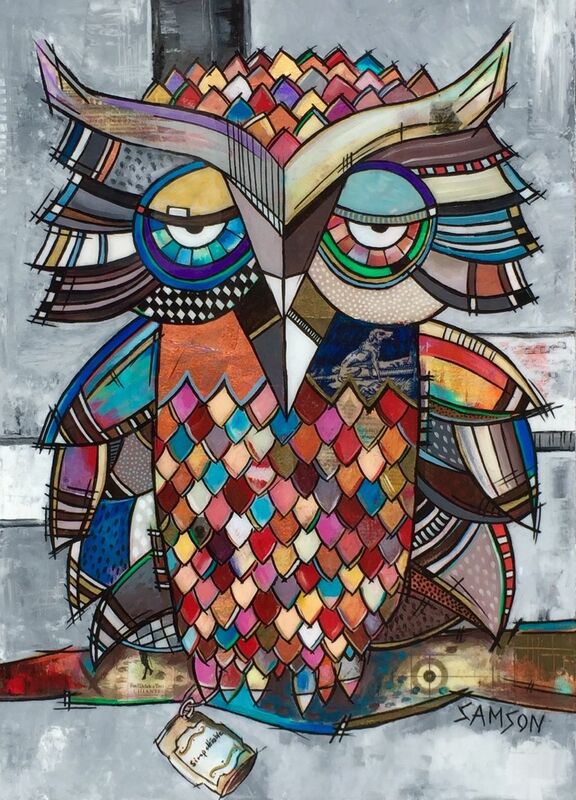 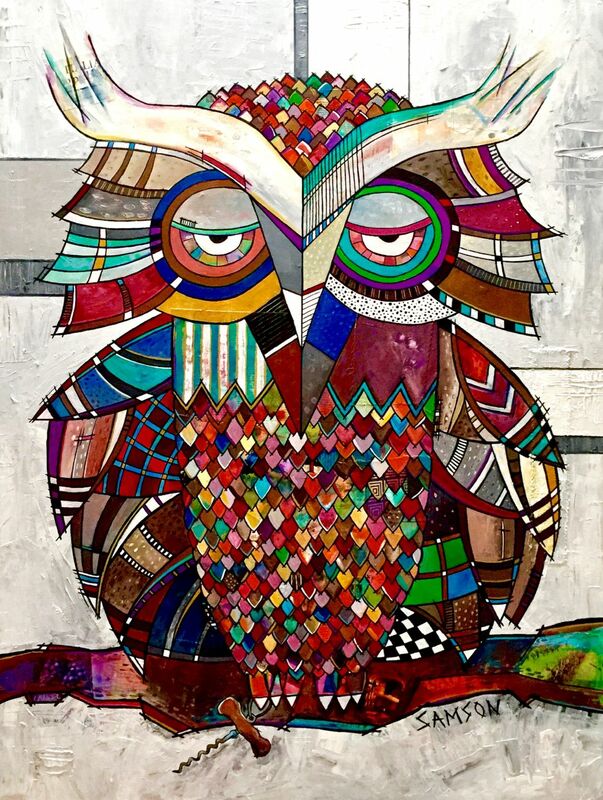 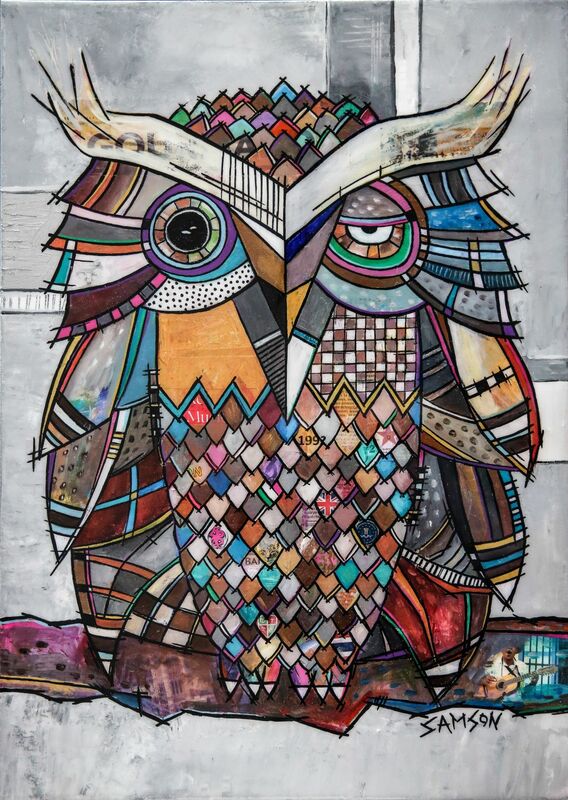 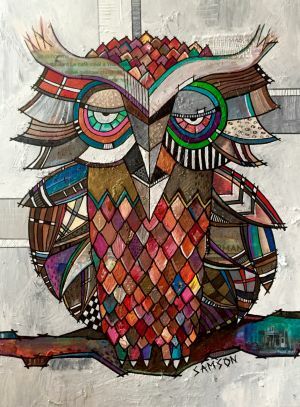 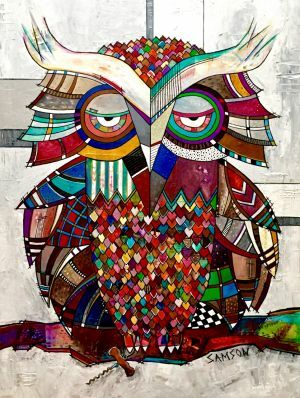 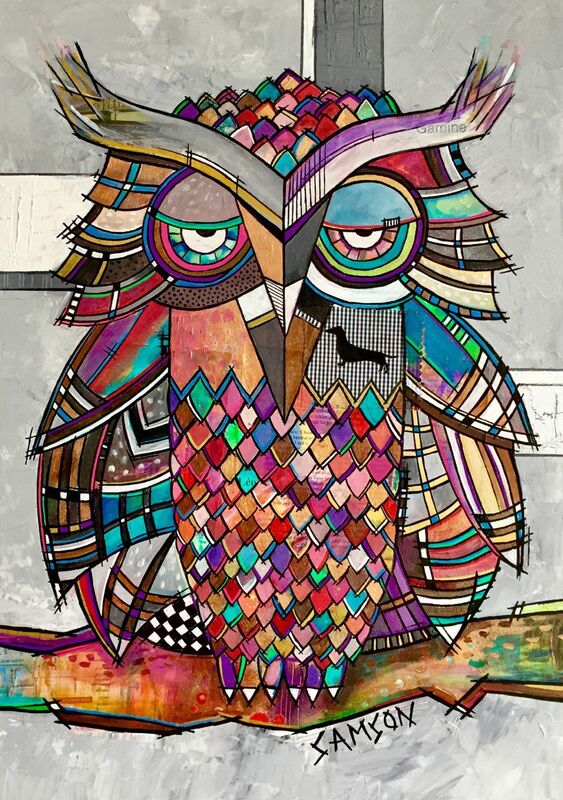 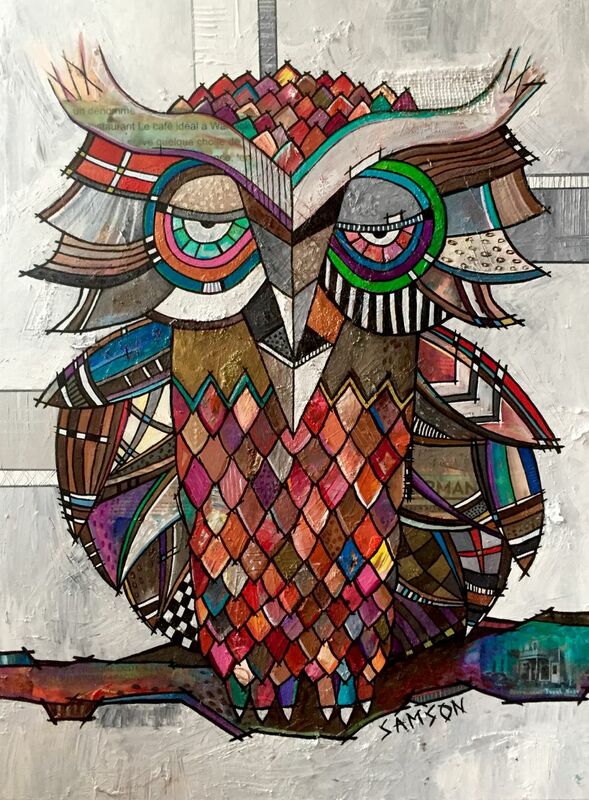 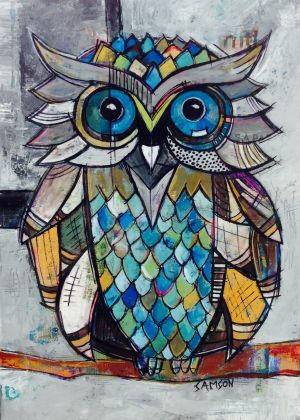 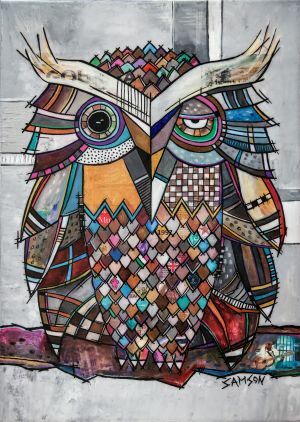 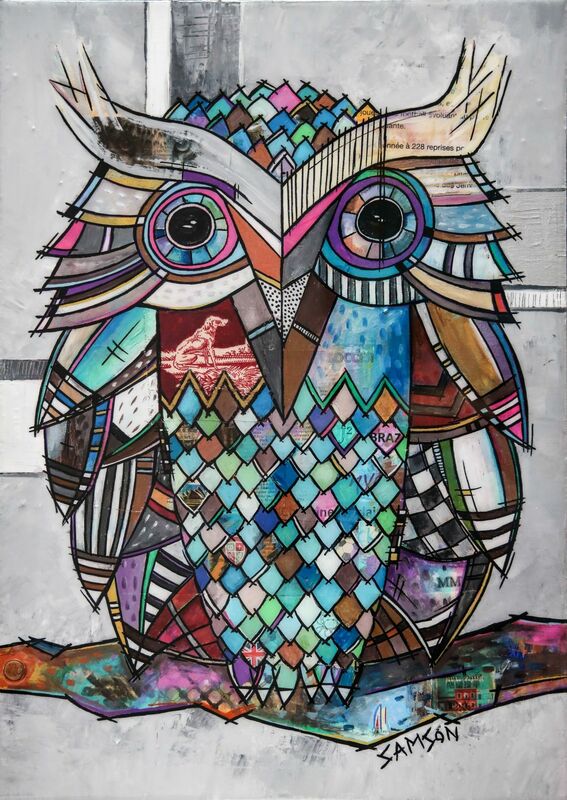 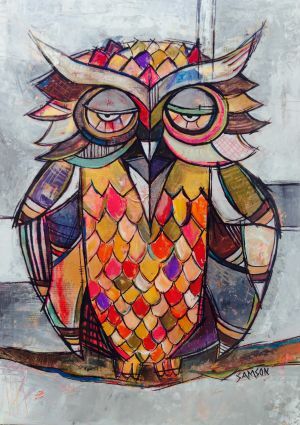 His owl art paintings have reached another level by finding balance between designs as well as warm and cool colours. The contemporary artist uses several mixed media in order to perch his subjects on a pedestal. 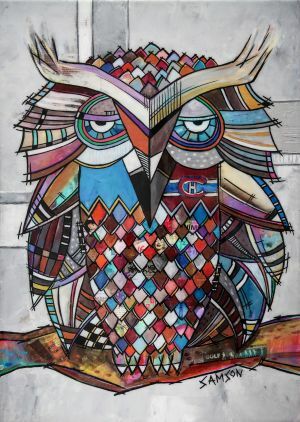 To attain this goal, the Montreal painter, Quebec settles his dynamic and colorful muse in front of a neutral and serine background. Here is my owl paintings collection. 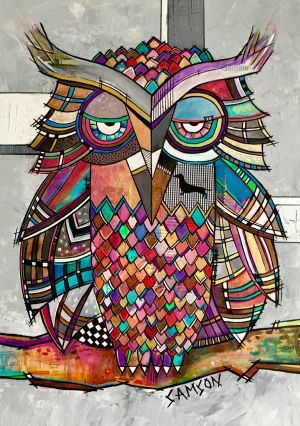 Order your own with the size of your choice, your favourite colours, etc.